Marmaris is one of the most popular holiday resorts in Turkey. But what is there to do when you get there? Here’s a rundown of some of the best activities, bars and places to chill out in the resort. We also asked our knowledgeable community on Twitter and Facebook for any tips and advice, and as usual, they didn’t let us down. This is the place to be if you really want to let your hair down and have a good time. Bar Street is home to the main stretch of clubs in Marmaris with bars and clubs staying open until 4am. One of the most popular places to go, this restaurant and bar has been around since 1997 serving tasty food and drink in a friendly environment. They also offer private jeep safaris and boat trips. If you’re looking for one of the liveliest nights out in Marmaris, look no further than the Turtle Karaoke Dance Bar. Enjoy dancing on the bar, karaoke and amazing foam parties. For a fun night out, look no further than this drag / cabaret show at Cheers Bar. The entertainment here is fabulous – the funny adult humour will ensure you have a good night. You’ll also get a meal included in the price. There are so many things to do in Marmaris, like sunbathing on the beach, taking a boat trip out to sea from the marina or enjoying a spot of shopping. Atlantis Waterpark provides a great day out for the whole family, while history lovers should certainly take a trip to visit Marmaris Castle and Museum. If you love a good haggle, be sure to head to the colourful and vibrant Marmaris Grand Bazaar for a bargain or two. You’ll find almost every product imaginable here from jewellery and leather goods to ceramics and Turkish food such as halva, locum and baklava. Serving the coastal area of Turkey, the dolmus is a convenient way to get around the Marmaris area. 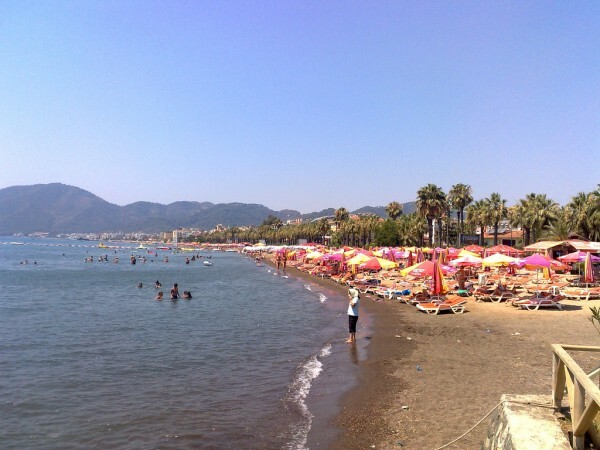 Many people choose to take the dolmus to the beach resort of Icmeler, around 8km away from Marmaris. Soak up the rays on the beach here or recharge the batteries at a traditional Turkish bath. If you’re feeling energetic, you’ll be able to choose from a wide selection of water sports on the beaches in Marmaris. 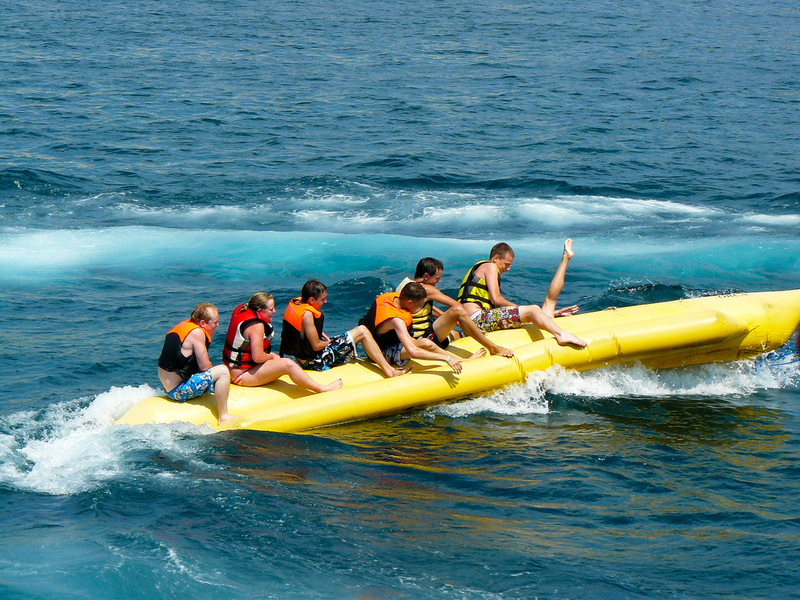 Enjoy jet skiing, wakeboarding, parasailing, or chill out on a pedal boat or canoe. The Aquaholics Dive Centre offers scuba diving and training, making it safe and easy to enjoy the marine life in the warm waters. A huge thanks to everyone who helped us put this post together: Tracy Coventry, Lynsey Bruce, Lindsey Clark, Sarah Owen, Stephen Robert, Murrnkey Bandicute, Fiona Marshall, Vivien Barbour, Chris Mckay and Barbara Mcdade via Facebook and Lauren Reed and Vixxie Kitch via Twitter. What are your favourite places in Marmaris? Let us know your top tips.